Teckell introduces the Contropiede model, translated as "counter attack", this version is a true blend of Italian art and beauty. 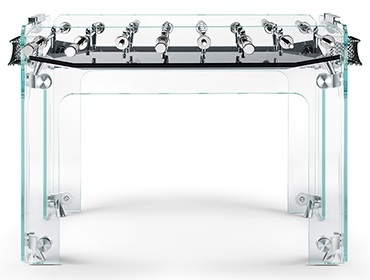 With the crystal glass that provides a transparent look combined with the aluminum men and accent parts, this is a modern looking table that performs. 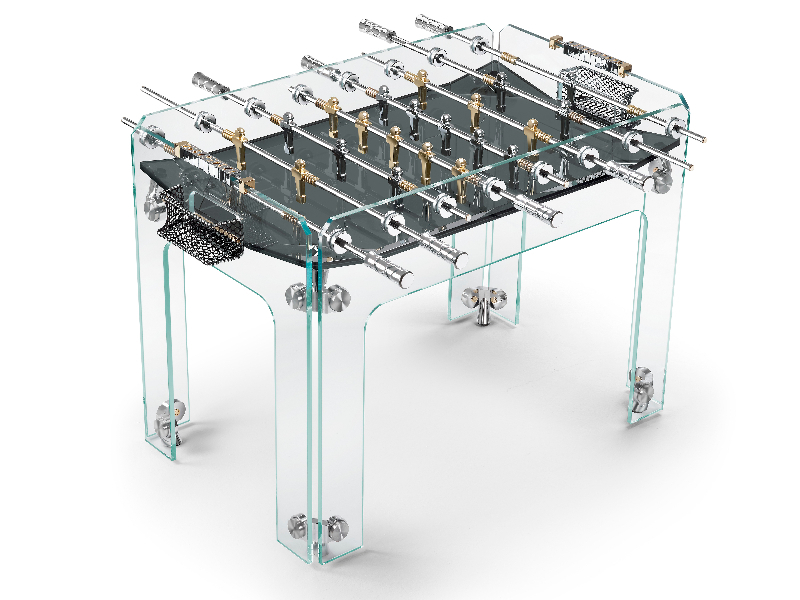 It is available with optional wooden or black legs and optional green playing field. It also has adjustable leg levelers that make it easy to play on uneven flooring surfaces.